With the angled smokey eye and classic red lip of Greta Garbo and Louise Brooks as inspiration, Lucia Pica captured the grandeur and emotional intensity of the holiday season in a limited-edition make-up collection. 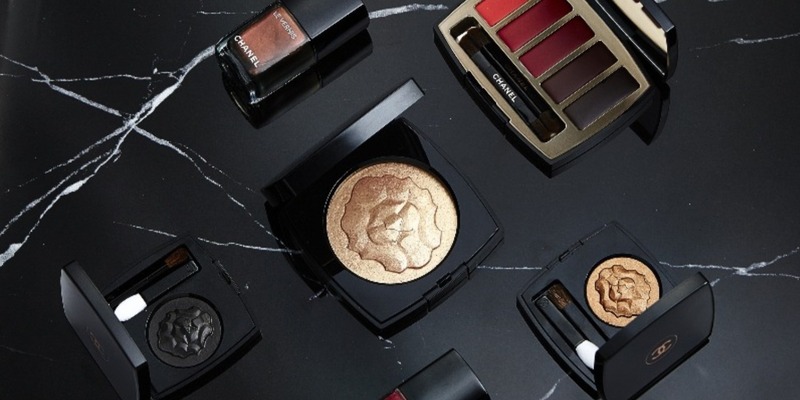 Inspired by Gabrielle Chanel’s beloved lion icon, Collection Libre 2018 features Mademoiselle Chanel’s favourite vermillion red and metallic gold hues, with the inspirational lion etched on the surface of the palettes of these irresistible shades. BAZAAR‘s top picks: The Le Lion De Chanel, a gold highlighter compact that houses a translucent formula that gives the skin an ivory-gold iridescence; and the Ombres Premiere Poudre eye-shadows, which offer subtle versatility by adding sophisticated luminosity to the lids and brow bone.